Is Cynosure, Inc. (CYNO) A Good Stock To Buy Right Now? Is Cynosure, Inc. (NASDAQ:CYNO) a good stock to buy here? Prominent investors are definitely becoming less confident. The number of long hedge fund positions were trimmed by 1 lately. 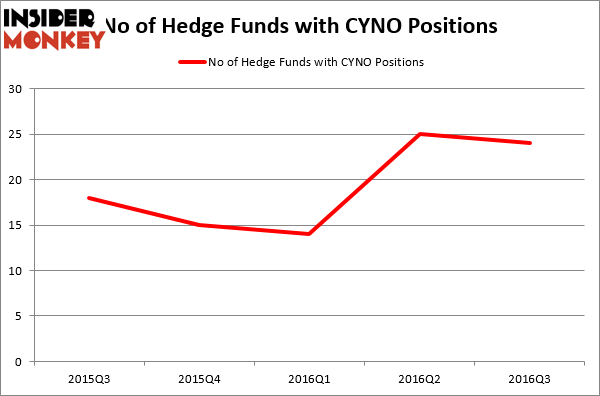 There were 25 hedge funds in our database with CYNO positions at the end of the previous quarter. The level and the change in hedge fund popularity aren’t the only variables you need to analyze to decipher hedge funds’ perspectives. A stock may witness a decline in popularity but it may still be more popular than similarly priced stocks. That’s why at the end of this article we will examine companies such as McDermott International (NYSE:MDR), Seadrill Ltd (NYSE:SDRL), and Inogen Inc (NASDAQ:INGN) to gather more data points. Cynosure Inc. (CYNO) is a leading energy-based aesthetic solutions company. The company makes various products that treat diverse indications anywhere from hair removal to skin rejuvenation to fat reduction. Due to the inherent desire to be beautiful, the aesthetic market has grown rapidly and CYNO has grown with it. Through both organic growth and M&A, CYNO has increased its revenue by an average of 29% a year from 2009 to 2015. CYNO has more growth ahead. 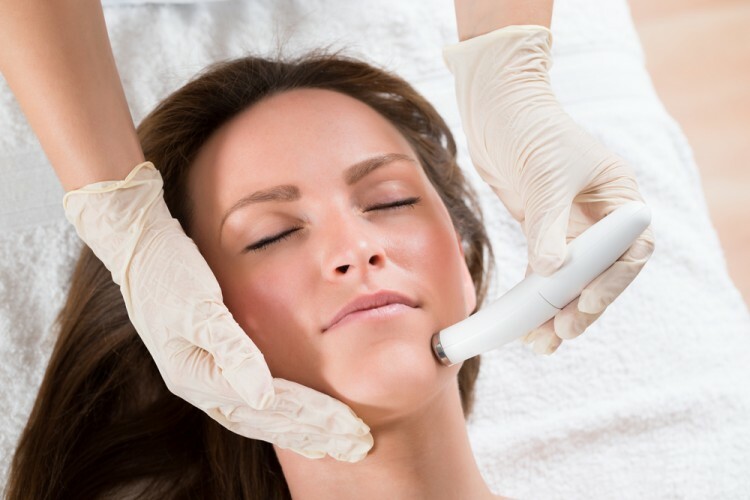 According to the research firm Medical Insight, Inc, the market for energy-based aesthetic devices should grow by an average of 9.3% a year until 2019, while the market for skin tightening and body shaping should grow by an average of 13.6% a year for the next three years. Adding to CYNO’s growth is the company’s U.S. roll-out of its hit product, SculpSure, a FDA approved non-invasive device that removes stubborn fat in only 25 minutes. On October 29, CYNO fell 12% despite reporting solid third quarter results. Although CYNO’s EPS of $0.29 beat the consensus by $0.03 and the company’s sales of $106.39 million (up 35.7% year-over-year) came in $4.62 million ahead of analyst estimates, the market was evidently expecting a bigger beat due to CYNO’s strong second quarter report. Despite the market’s reaction, Brean Capital analyst Difei Yang thinks that the weakness is a buying opportunity and has a $60 price target. With all of this in mind, let’s take a glance at the recent hedge fund action encompassing Cynosure, Inc. (NASDAQ:CYNO). At the end of the third quarter, a total of 24 of the hedge funds tracked by Insider Monkey were long this stock, a change of -4% from one quarter earlier. By comparison, 15 hedge funds held shares or bullish call options in CYNO heading into this year. With hedge funds’ capital changing hands, there exists a few key hedge fund managers who were boosting their holdings substantially (or already accumulated large positions). According to publicly available hedge fund and institutional investor holdings data compiled by Insider Monkey, Neal C. Bradsher’s Broadwood Capital has the most valuable position in Cynosure, Inc. (NASDAQ:CYNO), worth close to $46.7 million, accounting for 8% of its total 13F portfolio. Sitting at the No. 2 spot is Columbus Circle Investors, led by Principal Global Investors, holding a $38.6 million position; 0.4% of its 13F portfolio is allocated to the company. Some other professional money managers that hold long positions consist of Dmitry Balyasny’s Balyasny Asset Management, Jim Simons’s Renaissance Technologies and Richard Driehaus’s Driehaus Capital. We should note that none of these hedge funds are among our list of the 100 best performing hedge funds which is based on the performance of their 13F long positions in non-microcap stocks.